You will find below the horoscope of France Gall with her interactive chart, an excerpt of her astrological portrait and her planetary dominants. Horoscopes having the same aspect Moon square Mercury (orb 0°10'): Uma Thurman, Megan Fox, Jennifer Lawrence, Nicki Minaj, Emmanuelle Béart, Charles Manson, Joseph Stalin, Bradley Cooper, Kat Bjelland, Taylor Lautner, Victor Hugo, Courteney Cox... Find all the celebrities having this aspect. Horoscopes having the same aspect Saturn sextile Ascendant (orb 0°20'): Jesus Christ, Steve Jobs, Prince Harry, Duke of Sussex, Catherine, Duchess of Cambridge, Audrey Hepburn, Robbie Williams, Alicia Keys, Friedrich Nietzsche, Mitt Romney, Paul Newman, Jane Fonda, Victor Hugo... Find all the celebrities having this aspect. Celebrities born the same day: John Lennon, Bella Hadid, Laure Manaudou, David Cameron, PJ Harvey, Sharon Osbourne, Yann Barthes, Savannah (pornographic actress), Camille Saint-Saëns, Sean Lennon, Guillermo Del Toro, Brandon Routh... List of all the celebrities born on October 9. Celebrities being the same height: Soeur Emmanuelle, Joan of Arc, Christiane Taubira, Jeanne Calment, Adrienne Bailon, Kristin Chenoweth, Bonnie Parker, Tila Tequila, Lil' Kim, Cameron Boyce (actor), Agnès Varda, Isabelle Nanty... List of all the celebrities being 4' 11" tall. Celebrities clicked on in real-time: 576,037,574 times. Isabelle Geneviève Marie Anne "France" Gall (9 October 1947 (birth time source: Gauquelin, birth certificate) – 7 January 2018) was a French yé-yé singer. She won the Eurovision Song Contest in 1965. She was married to, and had a successful singing career in partnership with, the late French singer-songwriter Michel Berger, until his death. The couple had two children. Here are some character traits from France Gall's birth chart. This description is far from being comprehensive but it can shed light on his/her personality, which is still interesting for professional astrologers or astrology lovers. 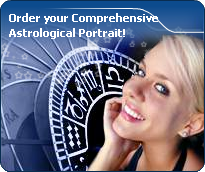 In a matter of minutes, you can get at your email address your astrological portrait (approximately 32 pages), a much more comprehensive report than this portrait of France Gall. France Gall, the diurnal South-eastern quadrant, consisting of the 10th, 11th and 12th houses, prevails in your chart: assertion and goals achievement are at the centre of your concerns. You are very keen to implement your dreams and your plans. You achieve your ambitions as soon as possible, whether through an active social life, highly charged friendly relations, or an urge to take actions in order to reap - in the eyes of the world, of course - the rewards of your dynamism. It is likely that spirituality or humanitarian actions are part of your motivations, sometimes at the price of some degree of isolation. Cheers for communication and mobility, France Gall! The predominance of Air signs in your chart favours and amplifies your taste for relations and for all kinds of short trips, whether real (travels) or symbolic (new ideas, mind speculations). You gain in flexibility and adaptability what you lose in self-assertion or in pragmatism. France Gall, Fire is dominant in your natal chart and endows you with intuition, energy, courage, self-confidence, and enthusiasm! You are inclined to be passionate, you assert your willpower, you move forward, and come hell or high water, you achieve your dreams and your goals. The relative weakness of this element is the difficulty to step back or a kind of boldness that may prompt you to do foolish things. France Gall, the Cardinal mode is dominant here and indicates a predisposition to action, and more exactly, to impulsion and to undertake: you are very keen to implement the plans you have in mind, to get things going and to create them. This is the most important aspect that inspires enthusiasm and adrenalin in you, without which you can grow weary rapidly. You are individualistic (maybe too much?) and assertive. You let others strengthen and improve the constructions which you built with fervour. Your angular houses, namely, the 1st, 4th, 7th and 10th houses, are very emphasized in your chart, France Gall: according to the Tradition, they are the strongest and most dynamic houses. Should the rest of your chart concur, angular houses suggest that you are an enterprising, energetic and assertive woman. Indeed, angular houses are said to generate impulsions and to give a powerful and domineering personality. After this paragraph about dominant planets, of France Gall, here are the character traits that you must read more carefully than the previous texts since they are very specific: the texts about dominant planets only give background information about the personality and remain quite general: they emphasize or, on the contrary, mitigate different particularities or facets of a personality. A human being is a complex whole and only bodies of texts can attempt to successfully figure out all the finer points. You are the very type of the researcher endowed with great intellectual and imaginative capacities, France Gall, and your curiosity is very deep. Researches, riddles and mysteries appeal to you and with a remarkable sixth sense and intuition, you endlessly try to unearth the truth, in all areas, like a psychoanalyst or a detective. You are a very secretive and introverted person, you find it difficult to open up and you rather prefer psychoanalysis. In spite of your clear-sightedness, you find it hard to deal with people: your critical mind, tinted with irony and causticity, may be destructive, especially since your determination and your stubbornness do not incline you to giving up. You are fond of provocations and you handle contradictions skilfully even though you may come across as dishonest. France Gall, it is impossible to hide it: to love, to be loved and to please, all these activities are at the centre of your life. Because you loathe solitude, you are constantly looking for company, and if possible, for an amorous company. It does not mean that you are full of passion all the time: you are refined, delicate and charming and you skilfully make use of customs with moderation and balance, without losing sight of your personal interests. You are ready to adjust and to compromise in all circumstances. You want to love and to remain integrated in your society: love gives precedence to propriety, which is fundamental to you. You are particularly gifted for this game of refined courtesy and politeness where appearances are at least as important as contents; you are able to show what you feel like showing and you achieve your ends with elegance, gentleness and goodness. These are precisely your main assets. What an energy, France Gall! You take so many initiatives, you have so much strength for action, construction and struggle! You are part of the conquerors, loyal and concerned about panache. Your vitality is such that you can achieve your objectives and release all your creativity. However, you are so proud and so unyielding that you cannot tolerate the faintest annoyance on your way: if you are vexed, you may turn into the opposite direction as a matter of reaction. Sexually, your magnetism and your energy work wonders. You are not complicated and, as long as your slightly domineering nature is respected and you are granted due admiration, all goes perfectly well. You usually have a lot of self-confidence and you believe in you. This characteristic feature may turn you into a hero with Hercules's strength and solar charisma. This text is only an excerpt from of France Gall's portrait. We hope that it will arouse your curiosity, and that it will prompt you to deepen your knowledge of astrology, as well as to visit and use the wide range of free applications at www.astrotheme.com. Your Life Path is influenced by the number 4, France, and your destiny implies sustained efforts, long-drawn-out works, and concrete achievements. The path may seem a bit tedious, but it is very promising, provided that you demonstrate some tenacity, loyalty, and patience. You are often invited to display orderly and methodical qualities, and step-by-step, you go through all the stages which may lead you to success, if you do not let hurdles dishearten you throughout your life. Persistence is among your major qualities. You see life as a challenge, and, far from falling into the trap of picking the easy way out, you face problems with calm and lucidity, and you choose the work and steady effort which open the door to success, although evolution requires quite a long time. Your personal path is based on continuous efforts and on maintaining the same immutable direction.